PRODUCT DESCRIPTION Clone Engine Blueprinted to 2017 AKRA / WKA Rules. 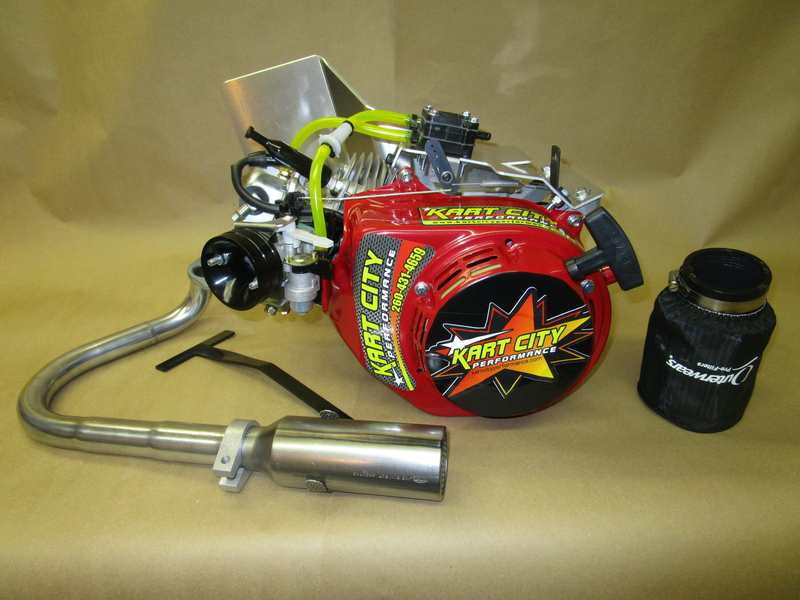 Engine comes with complete header assy and muffler, air filter, chain guard, fuel pump and lines, and linkage kit. Engine is ran on the dyno and broke in.....ready to race! Engine is built with Max Stroke Crankshaft, High RPM Camshaft, Bored Carb, Stainless Valves, 10.8 Legal Progressive Springs, Race Prepped Rings, Hand Picked Rockers for Max Retainer Lift, Maximum limits on all tech measurements.